The 342 is a 1/4 sheet palm sander. Two metal spring arm mount a sheet of sanding paper on a padded sanding plate. The sander follows a very traditional design for this type of machine. There are no innovative features or gizmos to be found. The motor and oscillation distance of the sander are on the smaller side. 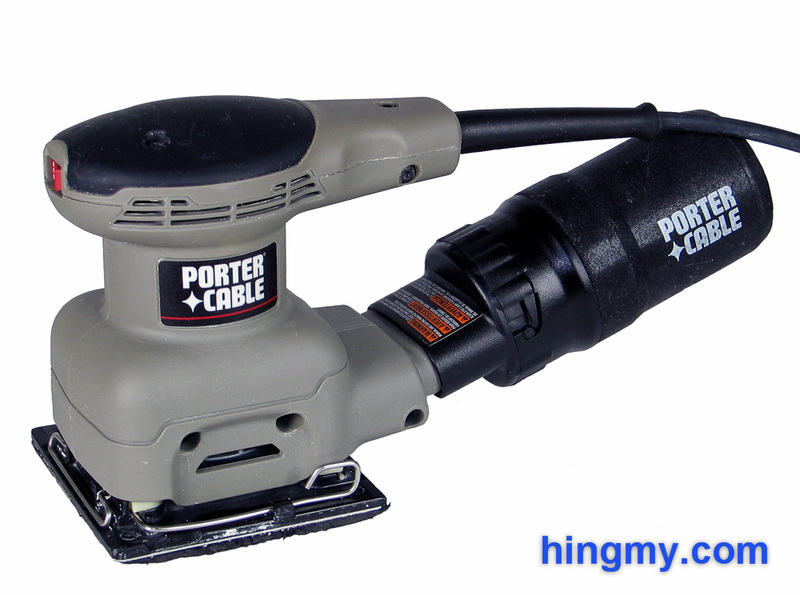 Porter Cable designed this sander to be more of a finish sander than a rapid stock removal tool. Several design decisions reflect this assertion. The sander has only one speed; full speed. 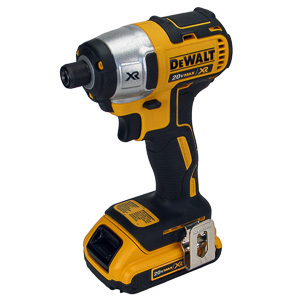 The on/off switch, the only switch on the entire tool, is located at the front of the grip. When turned on the 342 comes alive gradually, but aggressively. Guiding the tool as it starts up is not very difficult. The body of the 342 rises up from the sanding plate almost vertically. The entire length of three sides of the base plate can be used to sand up against a wall. On the fourth side, the rear of the tool, the dust port prevents getting close to obstructions. This design allow the front two corners to be used for corner sanding. This is especially helpful when building cabinets. 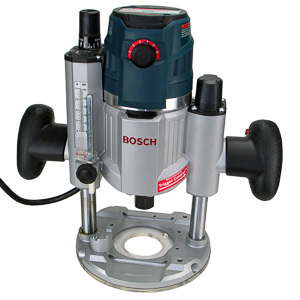 The 342 reaches into all corners of a box without having to use a second sander. The tool is held with a knob at the top of the tool. Like most palm sanders the 342 is intended for one handed use. The knob is slightly smaller than the base. This allows enough room for the user to guide the sander into corners without his hand getting in the way. One of the most important quality considerations when judging a palm sander is the brick like feel the tool should have when it is picked up. 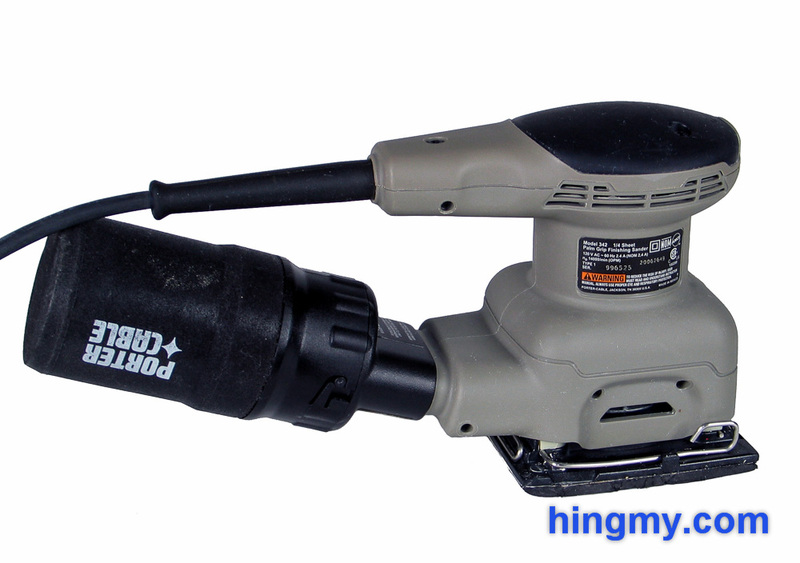 The sanding plate should be only thing on the tool that vibrates. The 342 scores full points on this test. The entire body feels like a monolithic object. 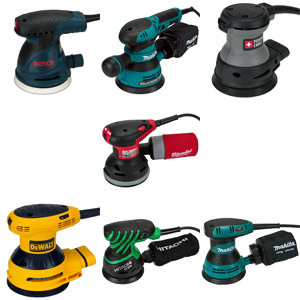 There are no rattles or squeaks during sanding; in the tool or in the dust collection mechanism. Being an affordable sander, the 342 does cut some corners. 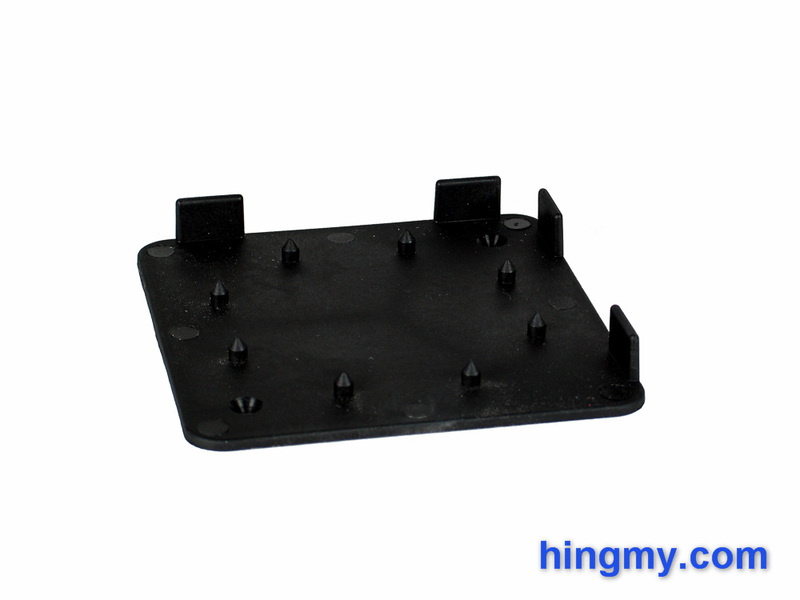 The sanding plate and mechanism are made mostly from metal, but there are some plastic parts here and there. My sander has seen its share of action in the 3 years I have owned it. So far it has mastered every challenge. I expect it keep going for a long time, be that in my shop or in a contractor's bag on a jobsite. Paper changes are handled the traditional way. The user has to undo the two clips that hold the paper in place, replace the paper, and secure the clips again. The operation is a bit finicky, but can be completed in about 30 second. When unlocked the handle of the clips extends below the base plate of the sander making it impossible to rest the sander flat on a table. The metal clips secure the sandpaper properly. I have never had the paper slip off the pad during operation. The clips are durable enough to allow for many sand paper changes. There are no parts in the mechanism that could suffer from premature wear. I expect the clips on my model to outlive the motor of the tool. The kit version of the Model 342 sander includes a plastic dust collection drum and mounting adapter. 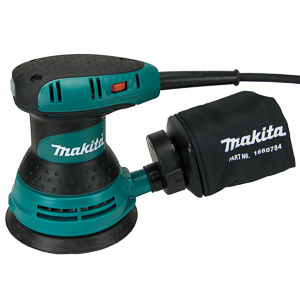 The dust port on the back of the sander is a wide, oval shape. This maximizes air flow through the dust port. The adapter connects to the oval port and turns it into a number of circular dust ports of varying diameter. 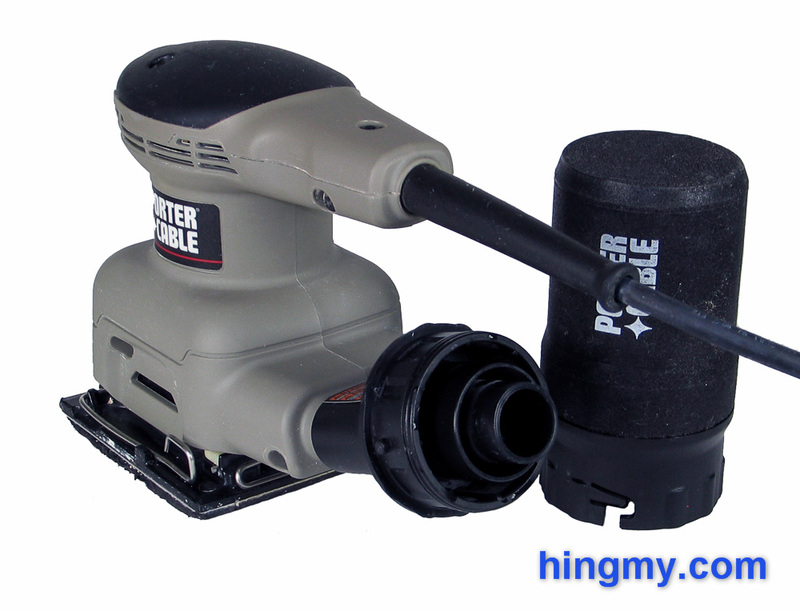 A rubber grommet hold the adapter in place even when the sander is handled very roughly. The dust collection drum connects to the adapter using a simple twist lock. It is made from solid plastic and does not allow for air to flow out the back of the drum. 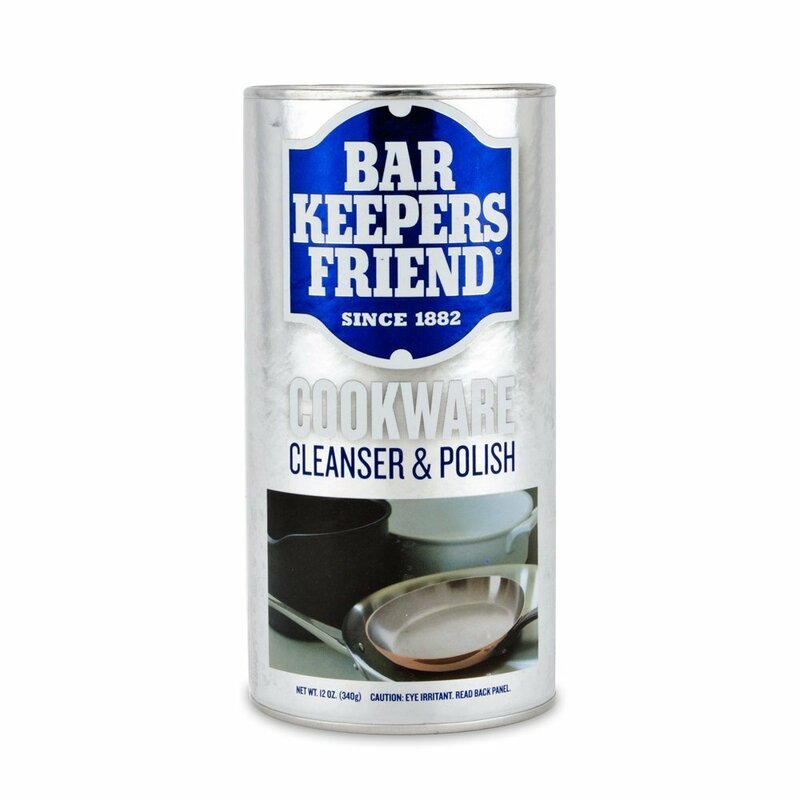 While the plastic makes emptying the drum very easy and clean, it also severely limits the tool's dust collection efficiency. Without the drum installed a much larger amount of dust is ejected through the back of the tool as opposed to being left near the sanding plate. With a sheet of sanding paper installed the dust collection system performs very poorly. The tool does pick up dust near the sanding plate, but it fails to collect most of it. For proper dust collection the sanding paper must have holes in its surface. 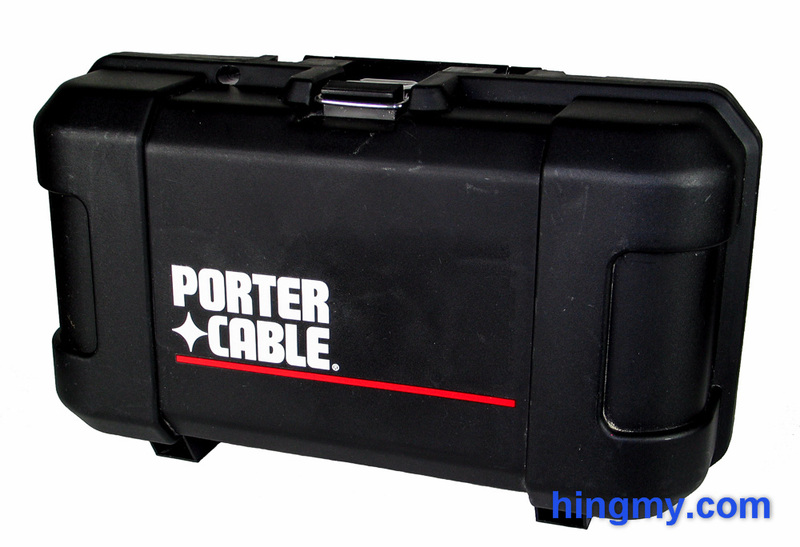 Porter Cable includes a hole punch template with the Model 342. The template creates the necessary dust collection holes in a fresh, continuous sheet of sandpaper. Simply lower the sander with a sheet of paper installed onto the spikes of the template. With the holes punched into the paper, dust collection performance increases dramatically. The corners or each hole are punched inwards towards the plate. This prevents the paper from ripping near the holes. When the sander is connected to a shop vac with a hose and the included adapter the story changes. Dust collection efficiency takes a big leap. The Model 342 collects above 90% of all dust based on observations in my shop. If you care about dust collection at all, the 342 should be paired with a shop vac. Any other setup does not deserve the name. The Model 342 sander ships with a somewhat large plastic carrying case. The case does a good job at protection the sander. Internal webbing and external ridges make the case both sturdy and fashionable. It lies flat on all four sides. A single latch locks the case securely. The lid closes tightly all around. The interior has enough room for the 342 and one of Porter Cable's 5" disk sanders. 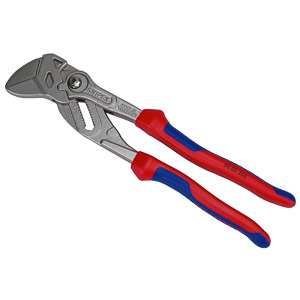 If you choose to purchase the set, both tools can be carried in one case. There is a small compartment for sanding paper and disks. The 342 has a smaller, less powerful brother; the Model 380. Counter to what the model number seems to suggest, the Model 380 is less powerful than the 342. 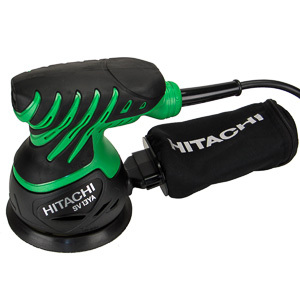 It vibrates slower, weighs less, and has a smaller motor. Other than that the two tools share the same design. The 342 is the better sander for general purpose sanding in the shop. The 380, being smaller and lighter, is the better choice for light jobs on the go. It packs up small and performs almost as well as its bigger brother. As indicated by it's motor size and small orbital diameter, the sanding performance of the 342 is mediocre. The tool is simply not powerful or fast enough to rapidly remove stock. The 342will lose a sanding duel to many other palm sanders. That being said, the sanding performance of the 342 is entirely adequate for finish sanding. The 342 removes stock fast enough to make a great choice for finish sanding base wood or top coats. Once and while the 342 will level a tabletop for you, but it will take it's time doing it. The 342 produces a very fine pattern. Under very close scrutiny a grid of very small loops becomes visible. If the sander is moved around just slightly the pattern starts to disappear. In most cases the finish produced by the 342 is good enough to be used directly. A pass with a random orbital sander is only recommended as a final pass after the 342 has been used for all other grits. The story of the 342 is one of price and quality. While there are more powerful palm sanders available, few are higher quality. The 342 provides solid sanding performance at a very low price point. 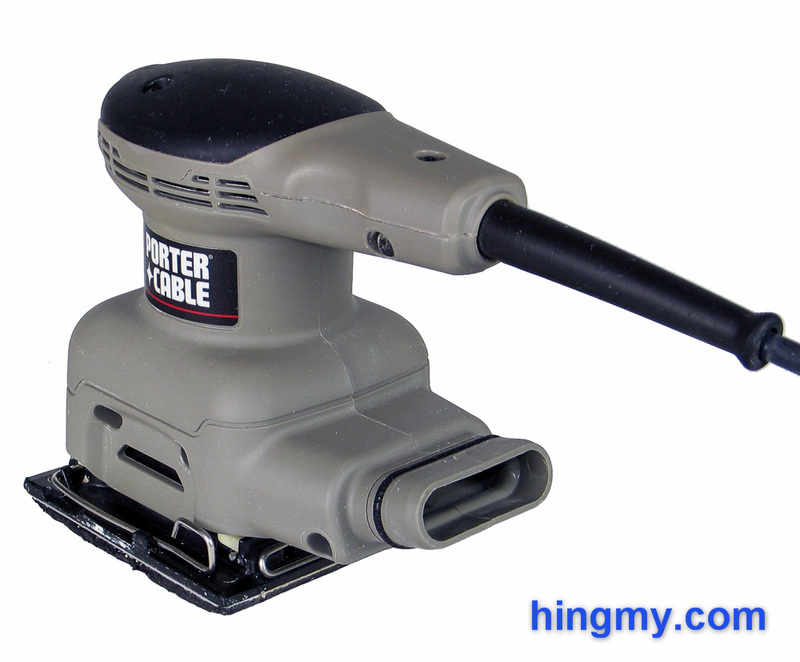 The engineers at Porter Cable have created a little sander that does what woodworkers need 80% of the time. The value provided by the kit version is excellent. The 342 found it's way into my shop because it fills a hole in my tooling setup at an almost unbeatable price. I will be using it long after I purchase a more capable sander. 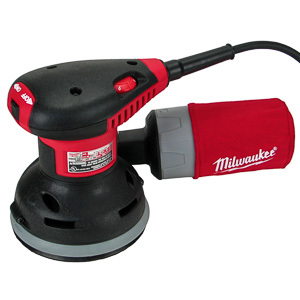 The 342 is a good1/4 sheet sander that can become a workhorse in your shop.